 The Scene is proud to announce a partnership with Big Music Fest for Breaking Bands Toronto. Apply by April 23rd for guaranteed consideration. Submissions close May 15th, 2015. WTF is Breaking Bands Toronto (BBTO)? A real opportunity for indie bands. Inviting bands of all genres from Ontario, to play in a fair competition with no fees for the artist, to be judged by young and elder industry professionals, receive commentary and scores publicly, for a chance to win an impressive prize. Now in its second year Breaking Bands is an Ontario-wide band search dedicated to finding the hottest emerging talent in Ontario. One band from BBTO will perform on the main stage at Big Music Fest, with hotel accommodations, festival passes, and automatically be a part of Kitchener’s Big Music Fest Breaking Bands (a separate competition, see details below). Additionally, the winner of BBTO will receive an industry professional recording and marketing package. BBTO is a live battle set to take place over seven weeks (Band plays maximum of three shows: preliminary round, semi-finals, finals) across several venues downtown and will run from April 23 to June 12. Mark, a known rock concert visionary and innovator, desired something different for the winning band. Along with mentorship, touring opportunities, a music video and other unique prizing, they will be the subject of a yearlong documentary leading up to their main stage performance at Big Music Fest 2016. The filming will cover rehearsals, studio time and live performances with a whole lot of life in a band thrown in! A winner will be announced among the 20 finalists on July 10, the first day of the festival. Â Prizing awarded to include studio time at Metalworks Studios, consultation from top industry executives, a professional music video, $2000 in cash, plus the opportunity to perform on the main stage at Big Music Fest 2016. Kitchener’s Breaking Bands will take place on the opening night of Big Music Fest in front of a live audience at McLennan Park in Kitchener. Admission is free. The night will end with a free concert by Big Sugar. Big Music Fest is one of Ontario’s largest and most exciting all-ages outdoor festivals. Since 2008, the event has attracted a loyal following of festival-goers and in its first year in Kitchener generated in excess of $7 million in economic impact for the city. More than 70,000 music fans will converge to take in performances by emerging talent alongside marquee headliners and to experience A World of Music in 7 Days.